The wonderful thing about gardening is that it can be done at any age and there is always more to learn, no matter how experienced a gardener is. In this post, I will be discussing a variety of gardens, which can be loosely collected under the category of ‘Education Gardens’. I have started with children’s gardens and progressed through school gardens to tertiary institutions offering horticulture courses like Burnley, Victoria and research like the Waite Institute, South Australia. Community gardens, plant shows and sustainable house days also provide valuable learning opportunities, especially for those interested in organic vegetable gardening, sustainability and permaculture. Children’s gardens have become increasingly important these days with the shrinking size of the backyard. In my generation’s childhood, we all had our own gardens, in which to develop our gardening skills, but these days , the house blocks are much smaller and often low maintenance with lots of hard surfaces, due to the fact that both parents are working and have little time to spend in the garden. Poor urban planning and the disappearance of open space, increased street traffic, parental fear for their child’s safety and the proliferation of electronic communications, to the extent that many children spend more time in front of screens (television, computer, mobile phones) than outside in the natural world, all contribute to decreased exercise and contact with nature, resulting in an obesity epidemic and a newly described syndrome: ‘Nature-Deficit Disorder’ . See the Children and Nature Network website at: http://www.childrenandnature.org/. Children’s gardens have been specifically set up to help counteract these problems. I have already briefly touched on the Ian Potter Foundation Children’s Garden in the Melbourne Botanic Garden in my post on early 19th Century Gardens: https://candeloblooms.com/2015/10/08/favourite-early-19th-century-botanic-gardens-in-australia/ . Also see : http://www.rbg.vic.gov.au/visit-melbourne/attractions/children-garden. The garden is open from 10am-sunset, 7 days a week, during school holidays. During term time, it is only open Wednesday-Sunday and public holidays, while Mondays and Tuesdays are reserved for school groups. It is closed for 8 weeks just after the July school holidays for restoration and maintenance. The garden provides an interactive environment for children of all ages, backgrounds, physical abilities and cultures to play, explore and discover the natural world. It is designed to encourage creative unstructured play and imagination with a number of small, child-sized spaces, each with a different planting theme including : a jungle and rain forest ; a ruin garden; a bamboo forest; a gorge with rocks, gum trees and grasses; a tea tree tunnel; a wetland area, a rill which runs through the garden; and a meeting place with a spiral fountain. Lastly, there is a Kitchen Garden, full of food plants, which delivers classes on sustainable gardening, composting and mulching and worm farming and companion planting to a wide variety of ages from preschoolers to school children right up to tertiary students and adult education classes. School gardens also do a wonderful job exposing children to gardening and the source of their food. We visited a terrific example in the Dandenongs in Victoria. Alphabet Garden : Prep-Grade 2: Literacy eg V is for violets; P is for Poppies Chickens and Ducks : the chook house has a living roof of hardy succulents; Eggs are incubated and kids learn about egg hygiene; fertility rates; incubation; weight and body development of different breeds; life cycles; behaviour; movement; courtship; habitat; physical features; chook handling/ feeding/ care. Eco-Centre : for formal learning and resources. Animals include bearded dragons and blue-tongue lizards, stick insects, green tree frogs, guinea pigs and budgies. There is artwork throughout the garden, as well as willow structures like tepees; scarecrows; a wood-fired pizza oven; and a grass maze. Science : animals/ plants/ habitats; native animals : butterflies; native bee species; wetland species and the insect world. Entomology experts visited the school in December 2014 for a BioBlitz with the students. See : https://www.youtube.com/watch?v=zJ3wM8PTEcU. Land crayfish, giant earthworms,the great yellow slug, native bees, wombats, scorpions, freshwater eels, satin bowerbirds, wedge-tailed eagles, sugar gliders and water rats are just some of the animals that live on and around the school grounds. : Sustainability and environmental science are important subjects at the Patch and the school was chosen as one of three finalists in the ‘Education’ category of the 2013 Premier’s Sustainability Awards, as well as winning the Eastern Metropolitan Region division of the School Gardens Awards in 2012. Creativity and problem solving, innovation, teamwork and interpersonal skills are all valuable learning outcomes. It is well worth visiting the school on one of their annual open days. It is a lovely day out with live music, wood-fired pizzas and food made with produce from the garden; plant and produce stalls; tours by the students and talks and demonstrations eg scarecrow making; plant propagation; making miniature gardens and art. Originally established in 1861 by the Horticultural Society of Victoria on the Richmond Survey Paddock, Burnley Gardens were experimental gardens to trial plants for the new colony. The 6 acre gardens were highly decorative and laid out in a geometric style. They were officially opened in 1863 and included 1400 fruit trees, many of which were lost in a great flood later that year and had to be replanted. Vegetables were trialled in 1874. The gardens were extended, a pavilion built and annual horticultural shows were held until the 1930s. The Victorian Department of Agriculture took over the gardens in 1891 and started the first horticultural school in Australia. The first headmaster was Charles Bogue Luffman, an English landscape designer, who favoured a more natural style of garden design, so the geometric layout was changed to a more informal style with curved and sunken paths; shrubberies and deciduous trees; open lawns and ponds; cool shady areas and separate Winter and Summer gardens and paddocks of wildflowers. Production and ornamental horticulture were taught, but the college also had a dairy herd, poultry trials and bee hives. Women students were encouraged and the shool has produced a number of famous female garden designers including Edna Walling, Olive Mellor, Emily Gibson, Grace Fraser and Margaret Hendry. In 1983, Burnley was amalgamated with the other colleges owned by the Department of Agriculture under the name of the Victorian College of Agriculture and Horticulture (VCAH), then in 1997, it was absorbed into the School of Land and Environment of the University of Melbourne. 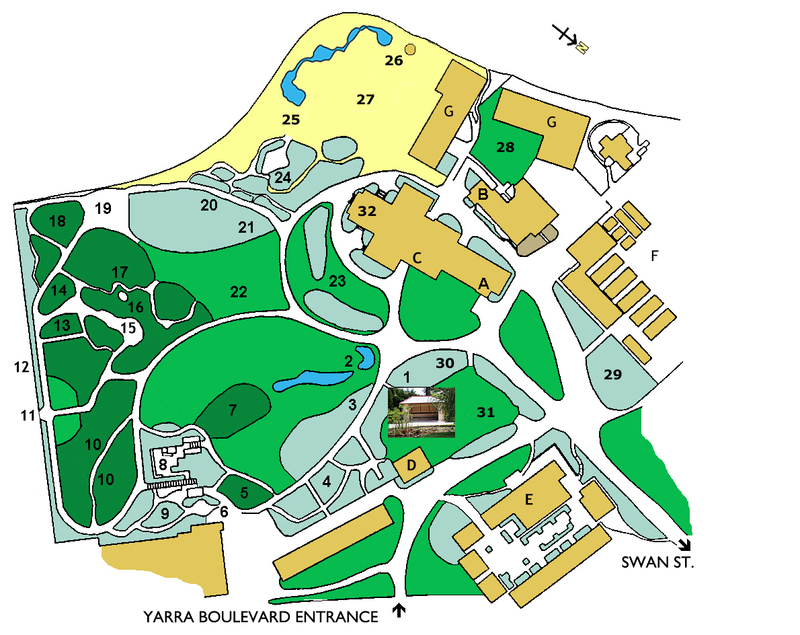 9 ha ornamental heritage garden (see map from : http://www.fobg.org.au/blog/about-the-gardens/burnley-map/. The garden is listed on the Victorian Heritage Register 2003 for 7 significant trees (now 6) and 3 buildings. Four trees are also on the National Trust Register of Significant Trees. https://thegirg.org/burnley-green-roof/ This contemporary approach is reflected in the wide range of courses offered. See : http://ecosystemforest.unimelb.edu.au/study/degrees and http://www.fobg.org.au/blog/whats-on-2/for-your-diary/. : Landscape Design, which I studied in 2012- covers topics like the landscape industry; design process and principles; garden history and contemporary and traditional garden designers; and the use of form, texture and colour. The staff are excellent and there is a strong Alumni network, which offers employment and mentoring opportunities. The Friends of Burnley Gardens includes staff and former and present students. They provide guided tours of the gardens, as well as courses and workshops, for example botanical illustration and creating bee hotels. See : http://www.fobg.org.au/blog/. 1.Waite Arboretum : Open from dawn till dusk every day except in extreme fire danger, the 30 ha arboretum contains 2300 plants of 800 species and 200 genera, all growing with an annual natural rainfall of 624mm and less. Open Monday/ Tuesday and Thursday 10am-4pm, except on days of extreme fire danger. Entrance is free. James Davidson’s research into insect pest management and Tom Browning’s work on understanding insects, sustainable development and biodiversity. The use of biological controls to manage insect populations as an alternative to the use of chemical pesticides. Future research includes work on biotechnology and DNA sequencing; molecular marker development; the management of plant diseases; land use technology and horticultural and viticultural production and processing. The Waite Institute is home to the Australian Wine Research Institute, responsible for research and education in viticulture. Major research areas include : the selection of and biochemistry of wine yeasts and bacteria; the importance of viticultural practices to grape quality; the molecular improvement of grapes, wine quality assessment and varietal evaluation, wine colour and phenolic chemistry and the development of sensory procedures for wine assessment. We enjoyed the display of different wheat varieties from early spelt to the latest varieties. The Labyrinth (2010) is the latest addition to the garden and is built on the site of the old tennis court. Dr Jennifer Gardner, the Curator of the Waite Arboretum, designed the labyrinth, basing it on an ancient Finnish 9-circuit stone labyrinth, and it is made of 921 timber rounds, recycled from trees from the Arboretum. There are also a number of outdoor sculptures around the garden and arboretum. More informal learning opportunities are offered by practical experience in community gardens, as well as visiting plant shows and Sustainable House Days. We have visited a number of very inspiring community gardens during our time in Victoria. including Geelong West and Mornington. Community gardens are a wonderful resource for those with limited space at home to grow vegetables and are strong supporters of sustainability and organic gardening. Not only do they promote good health through healthy eating and physical activity, but they provide valuable opportunities for people of widely differing backgrounds and abilities to share their knowledge and ideas and develop friendships and a sense of community. http://dig-it-garden.weebly.com/ Started in 2000, this garden has 50 plots, including : Four raised beds for the elderly and the disabled; propagating igloos; composting areas and worm farms; an orchard and a vineyard; a berry house; a demonstration wicking bed; an edible sensory garden; a chook palace; a natural habitat area including ducks and a frog pond; an outdoor kitchen and cob oven; a sandpit and even a special asparagus patch. Membership is $30 per annum and includes food swap, educational workshops and the sale of produce, seeds and seedlings. It also has an annual Open Day. Plant shows are also an excellent way to learn about plants. We have already discussed the large International Flower and Garden show in Melbourne, but smaller shows are often held for specific plants like peonies or wildflowers. Here are a few photos from our visit to the 2012 Peony Show in Melbourne- a great opportunity to compare these luscious blooms and dream about future purchases of favourite peonies. I particularly loved the blooms of the hebaceous peony ‘Coral Charm’. During the wildflower season, there are often wildflower shows, in which wildflowers are identified. We had a wonderful trip to Western Australia in Spring 2008, where we were introduced to our first wildflower show at Albany Flower Show and it whetted our appetite for further shows. In Victoria, we loved the internationally significant Anglesea Heath area, which is full of colour from the Epacris and Banksias in Winter and the orchids and wild flowers in Spring. And finally, Sustainable House days are wonderful ways to see other people’s homes and gardens and learn about sustainability, organic vegetable gardening, raised beds, espaliering, herb gardening and quirky sculptures, as well as meet like-minded individuals. 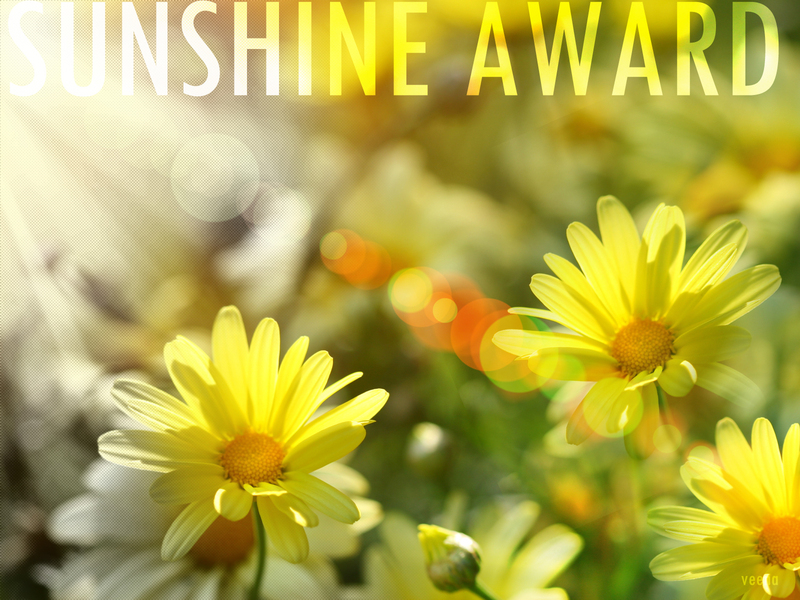 They are held all over Australia on the 2nd Sunday of September each year from 10am-4pm. See : http://sustainablehouseday.com/. Here are some more photos from some of our local days in Geelong with great ideas from raised beds and protective guards to garden seating, water features, focal points and even quirky home-made outdoor sculptures. For this year’s Sustainability House Day in Geelong, see : http://www.geelongsustainability.org.au/shd. Thanks Jen! I really enjoyed researching and writing about these gardens! They are so inspirational! I’ll have to get cracking on the homemade lime cordial and cumquat marmalade for your visit!! !